PRODUCTION flexibility and continued good prices in the prime lamb market is what spurred northern NSW producer Chris Carrigan, “Welbon”, Garah, to introduce Dohnes. 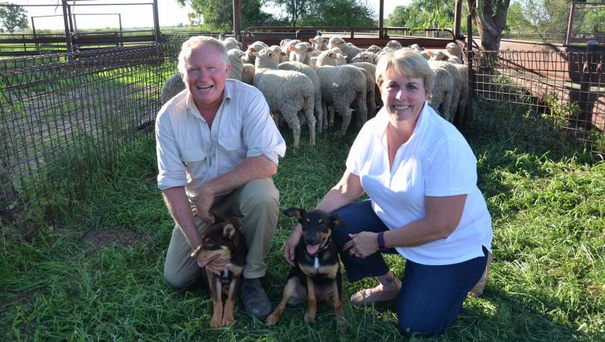 Chris, with his wife Helen, runs a Dohne flock of as many as 3500 breeding ewes. 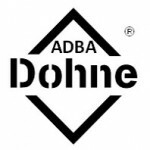 Initially, they ran Merinos although Mr Carrigan said he kept crossbreeding with the Dohne until he bred the Merino out to produce a dual purpose sheep. “I went into Dohnes to produce more of a meat sheep,” Mr Carrigan said. The Carrigan’s ewe flock is self replacing and Mr Carrigan said he sought a female with good conformation when selecting them. “They must be a good type of Dohne with well nourished wool,” he said. Although the Dohnes have allowed Mr Carrigan to explore the meat market side of sheep production, he still produces a sizable volume of wool. They produce medium wool on the property, with a 21-micron average fibre diameter. Mr Carrigan said they were producing about 120 bales of wool a year. Most of the flock was shorn once a year at the end of October and the lambs were shorn in December. Mr Carrigan said he shore twice so the lambs had a bit more wool on them when their turn came. It also makes management easier, as the lambs usually have too much wool if they aren’t shorn before 12 months. The Carrigan’s lamb market is hugely dependent on the season and Mr Carrigan said he liked to make decisions year to year. In the past, Mr Carrigan said he’d sold to restockers and feedlots, but had also kept his lambs on for longer if the season permitted and sold them as finished wethers. This year, Mr Carrigan sold some lambs bred from a chance joining over the hook at an average weight of 24kg at five months of age. If the season’s tough at home, Mr Carrigan said he’d class his ewes and send them to a breeder, although, if the season permitted, he’d keep them on and sell them through the prime markets. The Carrigans join two thirds of their ewes on December 3, meaning their lambs are bigger at shearing and his ewes are lambing before July, the coldest month on their farm. Ewes would also be lambing when feed was at its best on the Carrigans’ property. Mr Carrigan said he would wean most of his lambs when they reached six months. Chris and Helen Carrigan, “Welbon”, Garah, with some of their Dohne lambs, ready to be marked with the help of puppies, Max and Browny. The Carrigans run a Dohne flock consisting of as many 3500 ewes.